2009 has been treating the Canadian hip hop scene well so far, with great releases from established artists such as K-Os and from fresh faces like K’naan already jockeying for spots on year-end “best of ‘09” lists. 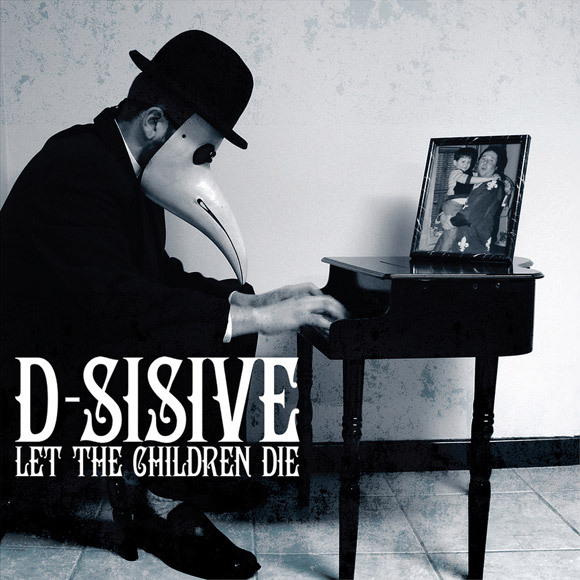 Let the Children Die, the latest album by Toronto-born emcee D-Sisive, is another strong album stemming from our northern brethren, but one which doesn’t quite reach the heights of the aforementioned two. Named the best unsigned artists in Canada in 2002, D-Sisive has an interesting skill set that is difficult to fully define. I resist simply filing him under the “spoken word” category and leaving it at that; that term is far too often used as a catchall to lump together any type of emcee with a nontraditional flow. D-Sisive’s style combines witty punchlines, vivid imagery, pop-culture references, personal tales, and creative storytelling in a way that makes all those facets of a good rapper seem…a tad boring. His biggest fault is indeed his flow, which never really kicks into high gear and remains the same throughout the entire album. He can string word together with the best of them, but the presentation and delivery (which is by no means helped by his slightly irritating voice) is what drags the overall listening experience down. That isn’t to say that Let the Children Die is a record without its merits, though. In an era where a switch in subject matter means going from bragging about guns to bragging about money, D-Sisive manages to keep things diverse. He discusses the stupidity of trying to emulate the fake gangsta lifestyle presented in most contemporary rap records (“Let the Children Die”), tells a story about his dad from both the child and parental perspectives (“Father”), and even goes against the trend of boasting about crimes and heists by crafting a tale about being robbed (“Glorious”). The braggadocio is kept to a minimum, as most of the rest of the tracks deal with self-reflection and personal tribulations as opposed to boasting and showboating. The production for the most part is solid, but none of the beats stand out as being truly memorable. It’s clear that the intentions here were to create a backdrop for D-Sisive to twist the English language over, not to try and keep heads nodding with a booming, catchy beat. D-Sisive kept the guests appearances to only a select few; Stones Throw rapper Guilty Simpson and fellow Canadian wordsmith Buck 65 provide the two best guest verses. Normally, I would applaud an artist for minimizing the guest spots on an album, but in this case I felt that a couple more would have helped break up the monotony of D-Sisive’s flow and voice. Despite the shortcomings regarding his delivery, D-Sisive is clearly an excellent lyricist and Let the Children Die is an album worthy of a spin or two. Checked it out and this is utterly forgettable. To be honest, no, I didn’t really give it a chance, but if your music can’t grab me when I’m stoned, you don’t have a chance against my Hate Machine when I’m sober. His whole stance is pretty adolescent and his wordplay is Lil’ Wayne style….all clever, no substance. When I want hateful, world-weary experimental hip hop from someone with an abrasive voice, by Jesus, I’ll stick with El-P and Aesop Rock….better songs, way better beats.